Trying to understand people can drive you nuts, but I relish it. As an associate professor in the School of Journalism at The University of Texas at Austin, I use my skills as a former reporter, columnist and editor to study managerial decision-making, especially in the journalism realm of journalism. And my students remind me why I do it every day: Not to save newspapers, but to help people reach a place they wouldn’t otherwise be. There’s nothing worse in life than stagnating, and if by going to newspapers and helping their editors and journalists can see the road to improvement, then the world’s a better place. For years I’ve co-authored a media management text, so the desire for control is real. But re-organizing and re-arranging your work life despite where politics tell you to go can be life-saving. 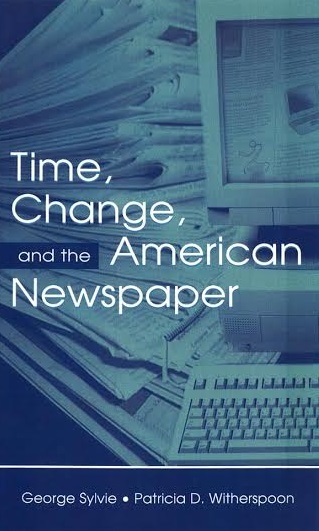 In Time, Change, and the American Newspaper, I preach that change remains a frame of mind, which only takes you so far; at some point you’ve got to change the frame to keep moving. But Scandinavian editors in my studies at Jönköping International Business School’s Media Management & Transformation Centre persuaded me toward the Viking power of lagom, of cool restraint in the name of moderation; every manager needs to learn it’s not about him or her. I said I try to understand people. I didn’t say that I did. Analyze and observe, the basic reporter’s and researcher’s tools. We observe to gather data, but we analyze to know whether it’s worth knowing. It’s a lifelong skill and keeps you out of trouble most of the time. Maybe not the best, but I listen. I make more friends that way, and you need friends to survive. To help change the definition of news into something more than just a dull story about government or lack thereof. A person should be able to be more productive by knowing something other than what happened at last night’s school board or city council meeting. Life is more than just about government and how people vote for president. Aside from a happy marriage and two thoughtful children, helping to show people that it’s not just about them. Getting people outside their comfort zone and inculcating a spirit of openness and consideration for others, even if it hurts. Being pushed onto a bus by my mother, who knew that if I didn’t learn in eighth grade how to successfully navigate the bus system alone into another neighborhood, I’d never have any confidence in myself. It was painful – for both of us. “If I have seen further, it is by standing on the shoulders of giants,” by Isaac Newton. Truly too many to name. Sweden, for its wonderful “otherness.” New Orleans for its food. Chicago for its architecture, street plan, and Wrigley Field. Paris for its charm. And Cane River, Louisiana, for my heritage. The 1966 Ford Thunderbird, a thing of beauty. The Lego Architecture Series. Chocolate éclairs. The “Fargo” TV program. A Cubs World Series.